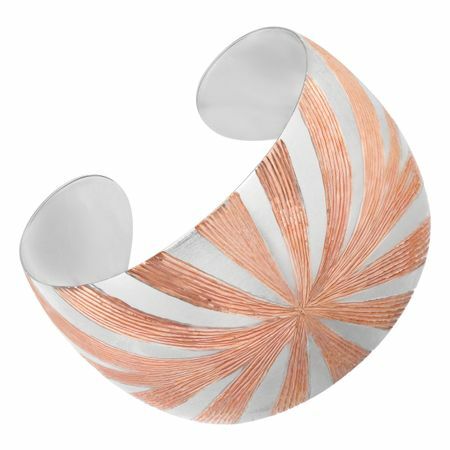 Make a statement on your wrist with this unique bangle featuring a starburst of rose gold. Crafted in sterling silver with a 14K rose gold overlay on an etched backdrop, this piece is the perfect stand alone look! Piece measures 6 3/4 inches by 1 1/2 inches.